Tyrion departing Winterfell’s feast hall, after a cold reception. 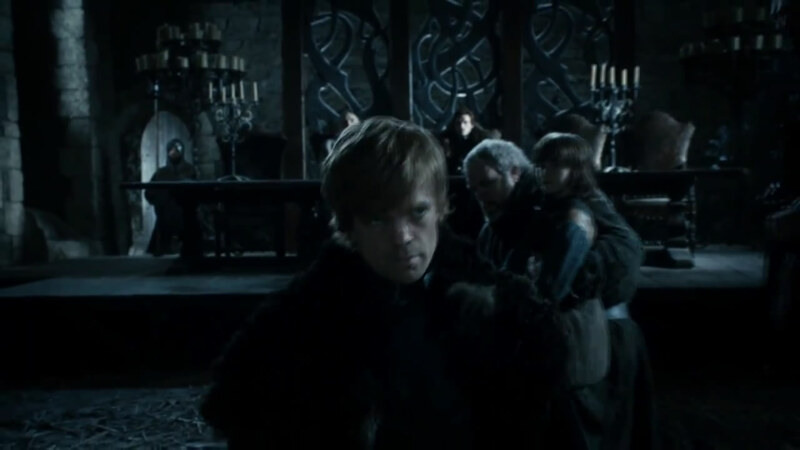 We can just glimpse the heir, Robb Stark, with his advisor Maester Luwin seated at the high table. In the novel, this takes place with Robb on the Stark throne, but that does not seem to be the case here. Also present are Bran carried by Hodor, and just off-camera to the right side is Yoren of the Night’s Watch.